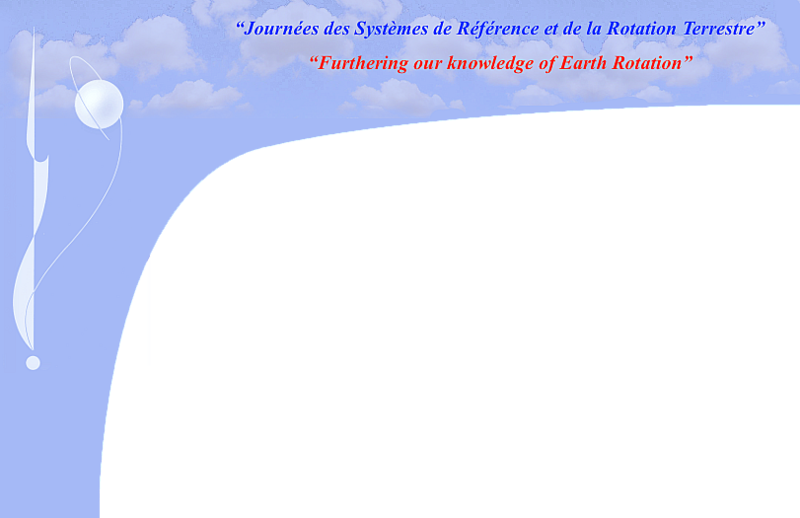 "Earth’s rotation theory and modeling"
Earth's rotation observation and model validation". "Celestial and terrestrial reference systems and frames, with particular attention to Earth rotation". "Solar system dynamics, relativity, and time scales". "New frontiers in Earth rotation, miscellaneous topics and discussions"